The last few weeks have truly been the most intense, exciting, amazing, stressful and inspiring weeks of my life. As I'm sure you know by now my MasterChef journey has come to an end with me finishing as one of the Final 10 contestants and missing out on proceeding to the Semi-finals. The process has been quite a roller-coaster ride with soaring highs and regrettable lows but throughout it I have endeavoured to try my best and keep on going. I've tried to keep my stress in check but in the end the accumulative pressure of the competition finally got to me. It's nerve wrecking constantly thinking about the competition, what you are going to cook, how is it going to taste, what do the judges think and what will people think. I really put myself out there and it's fair to say it has taken a sizeable chunk out of me. 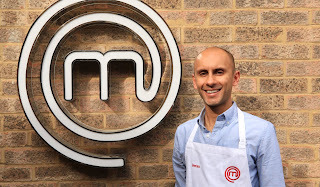 That being said I am honoured and privileged to have had a chance to take part in such a well regarded and renowned show like MasterChef and for that I am truly thankful. I am super proud of my achievement, from the hundreds of applicants, starting 64 contestants, I finished in the Final 10 and that is something I will never forget and I will hold my head up high. I've mentioned before the pressure has been more than I could have ever imagined but it has not put me off cooking. Far from it. It has confirmed that I want to do more. It has also confirmed to me that if you do not at least try to chase your dreams you will never know what you could accomplish and I think that is what I will take most from this process. So what now? Well, I'm just getting started! I want to cook for you lovely people! There are already plans underway for my first pop up event at the end of May, my first cooking demonstration in July and I plan to keep the blog going too! I want to thank you all for coming on this adventure with me and for your support along the way which has been truly incredible. The support I have received from you amazing people has been more than I could have ever imagined, I will never forget it. Diolch! Details to follow about my first pop up event at the end of May!